Representative Kurt Bahr's house bill 616 was voted out of the Downsizing State Government Committee 8:4 today along party lines. 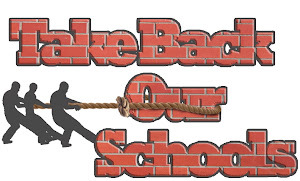 HB616 requires the state to stop implementation of Common Core Standards and Assessments. Many veteran teachers are all too familiar with the constructivist approach to teaching math inherent with CC and know that it does not work for a significant portion of students. Higher education teachers know that it will leave those unable to afford supplemental math enrichment in k-12 without the math skills necessary to complete college degree programs that rely heavily on mathematics like engineering without paying for extra math courses in college. Those in the language arts reject the heavy emphasis on informational text reading and analysis knowing that the research does not support that as a good path path to developing future writers. MCACC provided expert witnesses at both the House and Senate hearings on Anti-Common COre legislation. Emmett McGroarty of the American Principles Project was one of them. He will be on Glenn Beck's TheBlaze tv tonight at 5:00 pm central talking about Common Core. Go to TheBlaze.com/tv to watch on line. 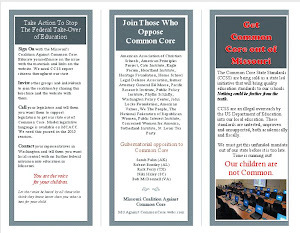 Join the MCACC network at MOAgainstCommonCore.com and spread the word about Common Core. Oh that is the best news!!! I am just starting to learn about this, as I home school my daughter. I am so glad I found your blog as it applies to me right in the state we live in. Thank you! It is important for me to know what is going on, as they are trying to eliminate parental rights to homeschool by pushing common core. I have contacted my curriculum provider to find out if they are adding common core. The Home School Defense league has mentioned that some home school curriucla providers are already adding it to their curriculums. Frightening. 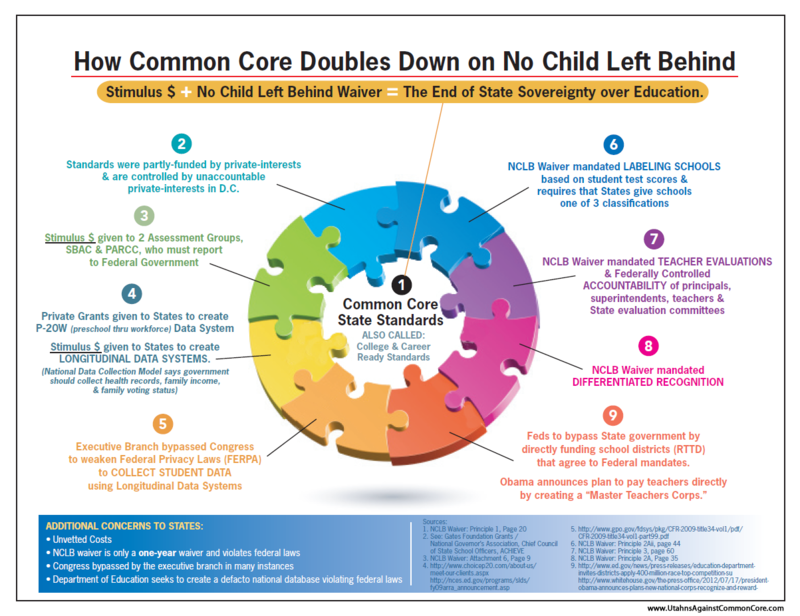 I was watching Glenn Beck last night, and they had some teachers on their talking about this common core standards, and how BO went around congress to push this nonsense on students and unsuspecting parents, and i dont even have kids in school and this angers me beyond belief. This administration is attempting to create a future population of useful idiots that they can control on a whim, thats all this is about, but how do we stop them? they mentioned this can only be fought at the state level now. makes my blood boil. We have to stop this NOW!!! I am furious how this joke of an administration can get away with bypassing congress and push this through!!! This goes against everything we believe in and I will help anyway I can to stand up to this liberty thief!!!
" house bill 616 was voted out of the Downsizing State Government Committee 8:4. . . " What does this statement mean? Is Bill 616 moving forward, or was it killed? Thank you for answering. It was voted out of committee and now has to be scheduled to be heard by the Rules Committee and then onto the House Floor for debate. It is moving forward and this is good news. Call your legislator personally and tell him/her that you want to see this passed in the House. Let us know how your legislator responds. And thanks for your interest!